When was the last time you went out of your comfort zone and made something totally new? It’s been a while for me in all honesty. I usually rotate between some version of my Nourish Bowls, Meatballs or Blueberry Vanilla Cookies on the reg. But, something struck me last week and I realized I had never in my life actually made polenta! I knew I had to change this, stat. So with a mission in mind I headed up to the nearest market here in Switzerland and bought myself my first bag of polenta (aka finely ground yellow corn). While polenta is actually a dish, the main ingredient (aka only ingredient in most) is finely ground yellow corn. It’s texture to me is like a mix between grits and oats, but the flavor is 100% corn. Since we’ve been out here, Mr. CEO has finally developed a taste for mushrooms (winning!!!) so it felt only right to pick up a container of white button mushrooms to pair with this Creamy Parmesan Polenta! As you can see… it was wealth worth the purchase! I’m not kidding when I say that I found polenta to be the easiest thing I’ve ever made. While I got fancy and sautéed my mushrooms in balsamic vinegar with a little fresh garlic until reduced down, you can easily pair this with whatever veggie you like. And, for a complete meal, top it with an egg! Now, what are you waiting for! Dive in! 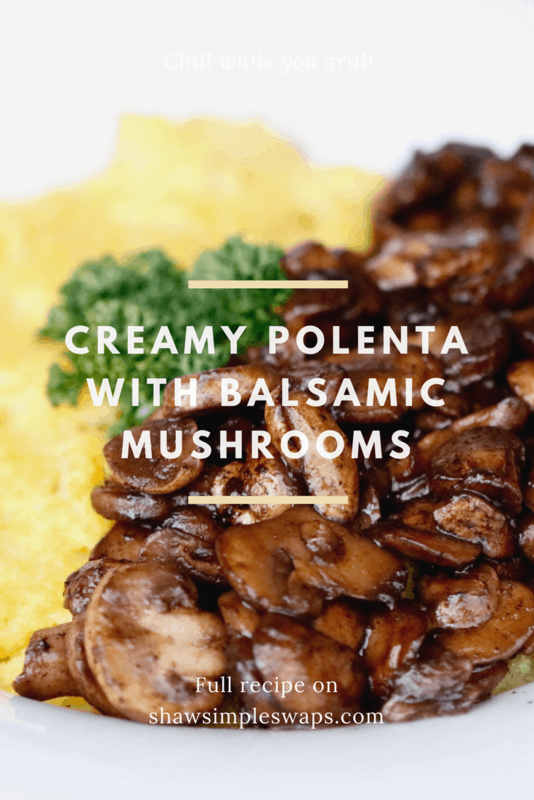 Creamy Parmesan Polenta with Balsamic Mushrooms, An easy to prepare main meal or side dish! Over high heat, combine milk and vegetable broth in a medium stovetop pot and bring to a boil. Reduce heat to simmer and whisk in polenta, 1/4 cup at a time, until combined. Continue to stir with a wooden spoon for 5 to 10 minutes until all liquid has been absorbed. If it becomes to thick to stir, add in 1/4 cup of vegetable broth as needed. Remove from heat and stir in the Italian seasoning and parmesan cheese. Set aside. To prepare mushrooms, add oil to a medium non-stick skillet. Saute garlic over medium heat for 2 to 3 minutes. Add in mushrooms and balsamic vinegar, stir, and set to simmer for 10 to 15 minutes. 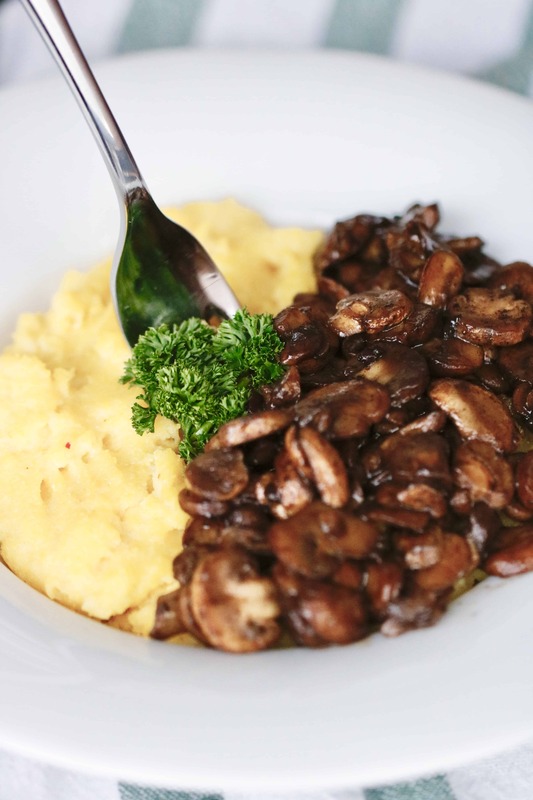 Once a majority of the balsamic vinegar has been reduced and mushrooms are tender, remove from heat. 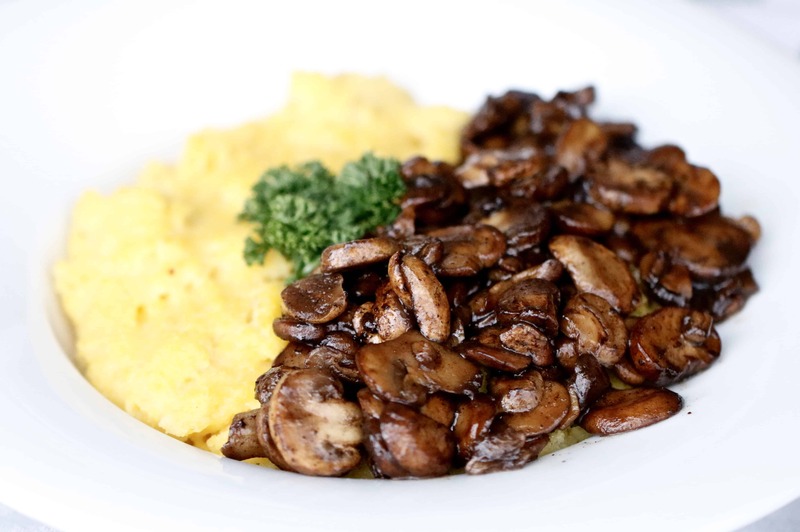 Portion 1/6 of creamy polenta into a bowl and top with sautéed mushrooms. This recipe is gluten friendly, vegetarian and RDN approved! What’s one recipe you have never made but enjoy eating?! 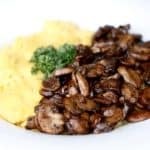 OBSESSED with creamy polenta AND mushrooms! Winner winner! I love polenta, and this recipe was SO EASY! First time making polenta and I loved it! It was so easy and turned out delicious! I loved your idea to top with an egg – I did that for dinner last night and it was so good! 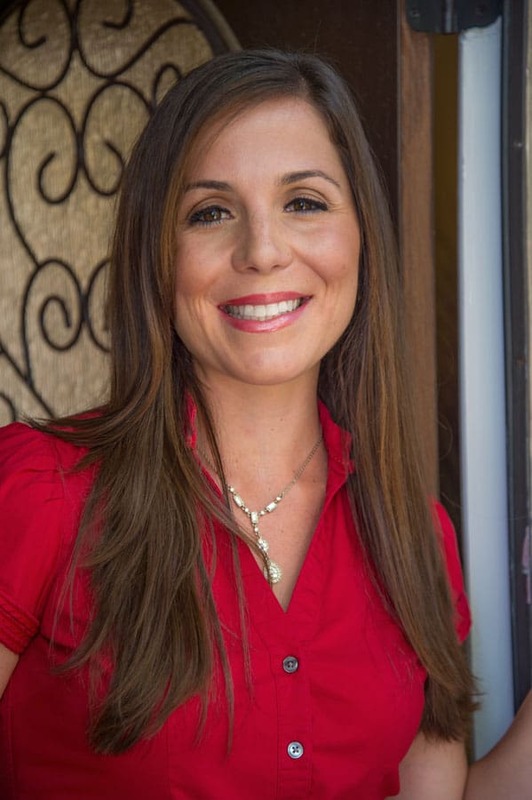 Same page girl–all things polenta and this is now officially on the ‘we make it weekly’ list!!! I loooooove mushrooms like this, but serving them over polenta was such a good idea! So yum!